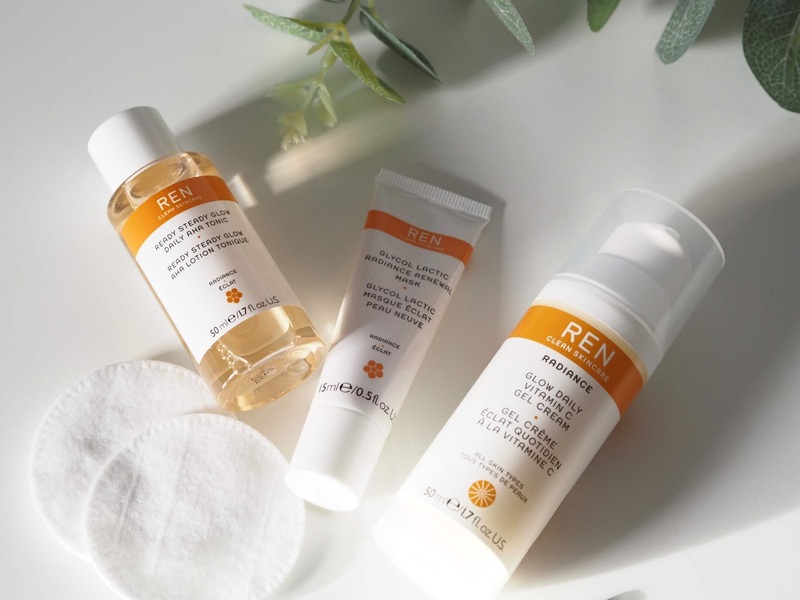 Skincare time again and I want to let you know about a fabulous product from REN that is due to launch in January. The glow daily vitamin C gel cream. 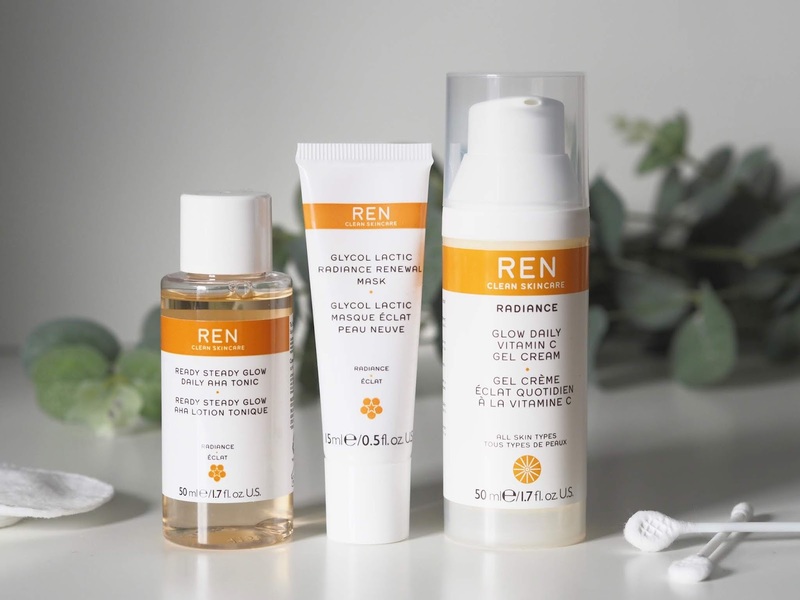 I'd heard of REN as a skincare brand but hadn't used any of their range. I love my acids and active products so was really interested in this one. 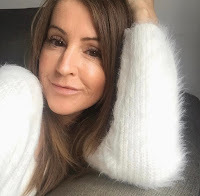 I already use a vitamin c serum before any moisturiser so a little bit more has got to be a good thing! 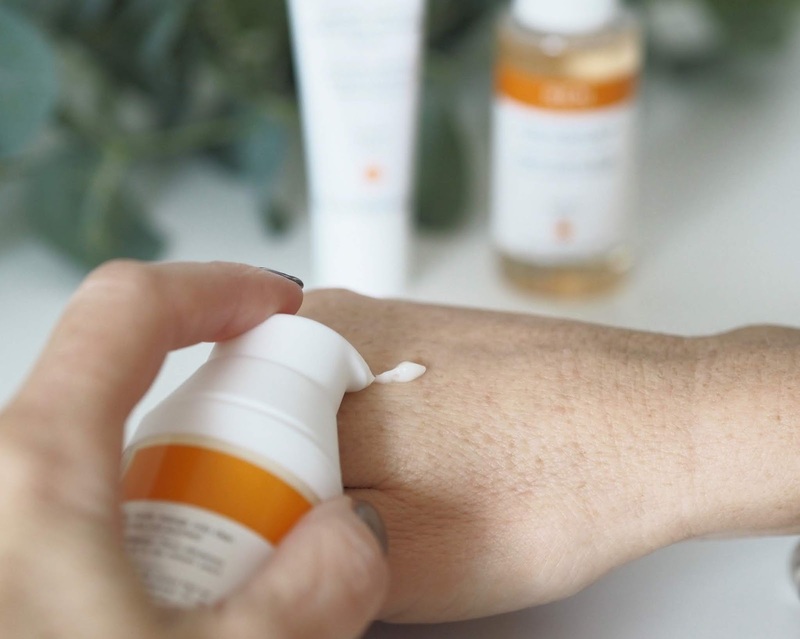 If you didn't know vitamin c is a key anti-aging ingredient that helps to brighten and smooth skin and protect your skin against free radical damage. This new gel cream is very lightweight and absorbs into the skin beautifully with no greasy or sticky residue at all. It comes in an airtight pump dispenser which is fabulous, I don't like dipping my fingers into any creams and antioxidants are best in an airtight container. I had no problem applying make up on top either. 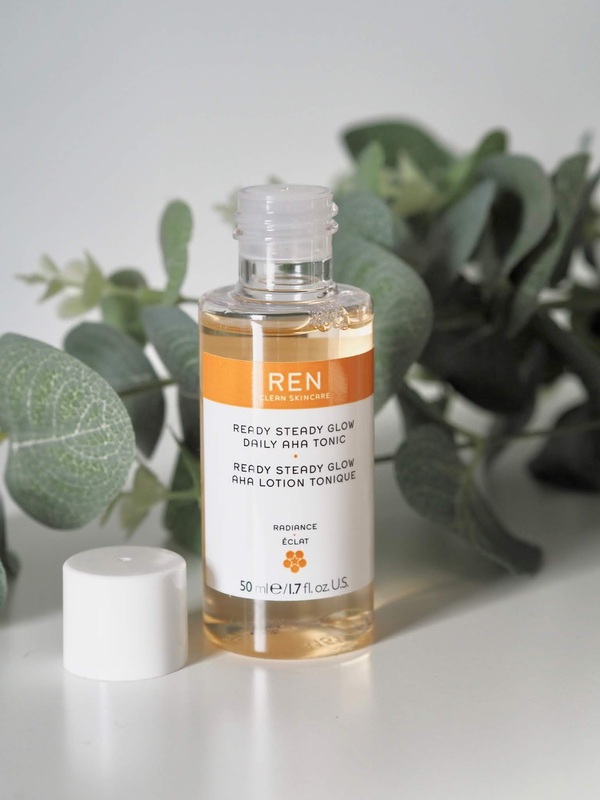 I can't confirm all the ingredients in it because I wasn't sent any of the info [and it's not online yet] but I do know that REN only formulate clean, safe skincare with no toxins or harsh chemicals and no potential irritants. It does have a delicate fragrance but nothing too overpowering. I've not had any breakouts using this either, which is good for me. My skin is rather temperamental to say the least. 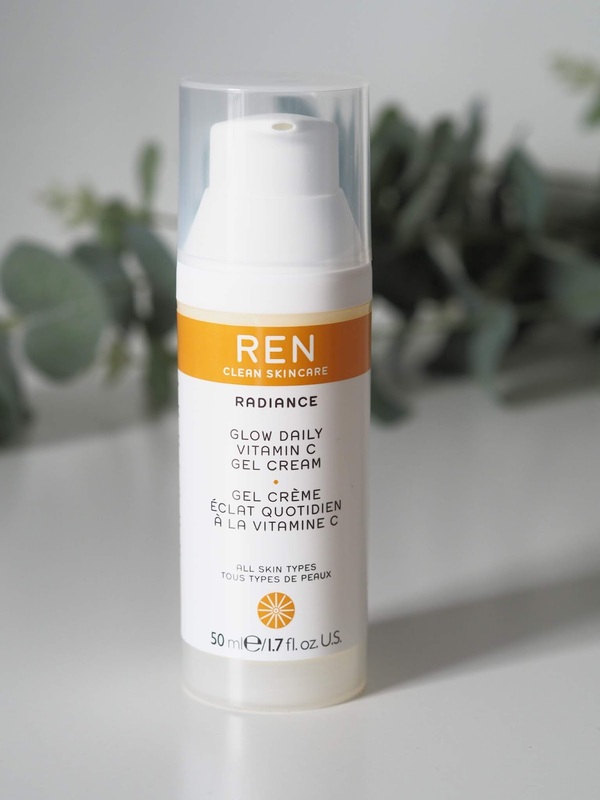 If you don't like a heavy moisturiser but want to introduce vitamin C into your routine gradually then this will be a good one for you. REN very kindly sent me a couple of other products from the radiance range. The ready steady glow AHA tonic and the glycol lactic radiance renewal mask. I've used a well known glycolic acid toner in the past and liked it but this for me blows that out the water! I blooming love this stuff. It's gives my skin a glow like no other, it really does. I can see why it's one of their bestsellers. This helps to exfoliate your skin and brighten your complexion. It's easy to use with a cotton pad, in fact I need the large size as it comes with a handy pump dispenser, you just wipe it gently over your face and let it do it's thing. It does give a good tingle but I like that as I know it's working. I use this every morning, daily, but if you have sensitive skin then it's best to go gently, start with just a couple of times a week then build up. I'm not sure I'll be able to live without this now. The last product to tell you about is the radiance renewal mask. Described as a cult-favourite peel mask for dry, mature and sun damaged skin. Big tick by all of those three from me! This mask is clinically proven to smooth, firm and minimise pores. Really though? That's a tall order is it not? I wasn't sure it could live up to that but my word it did. I love it. It leaves my skin radiant, smoother and just generally fresher. It might feel a bit tingly for some to start with but I'm fine with it. Again, if you've got sensitive skin go in gently as you need to leave this on for 10 minutes. I'd say do a patch test first. My skin is not sensitive at all really so I can throw most things at it to be fair. I couldn't be happier with all three of these products. A powerful trio for sure and everyone wants glowing skin right? Have you used anything from REN before?